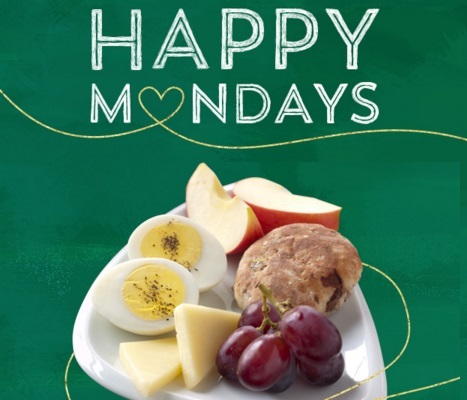 Starbucks' Happy Monday offer this Monday is half off any food item with any drink purchase! This is exclusively for Starbucks Rewards members. This offer is available when you pay using your registered Starbucks Card/App. Offer is valid Monday, March 14 2pm-close.